Mobile devices have limited touchscreen space, so many interface elements do double duty (or triple, or more): the same button reacts differently when tapped, swiped, long-pressed, or hard-pressed. The trouble is that many of these aren't intuitive: you won't find them unless you're told about them. 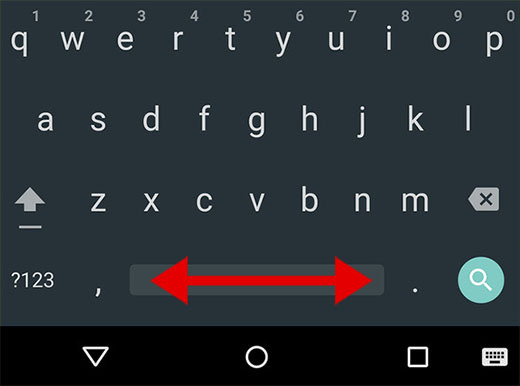 And so, with a useful feature like Google Keyboard's spacebar which can be swiped for cursor movement, it comes as an "oooh!" moment when someone reveals it. (Just look at the elated comments on that post - and these are tech-savvy people!) The feature is mentioned in the brief novella that is the app description, but who actually reads those? And who knows what other gems might be hiding there...?